Akshay Ravi, a junior at Neuqua Valley High School, started learning vocal lessons at age 8 under Smt. Poorna Sethuraman. At age 11, he started learning flute under the tutelage of Smt. Hema Balasubramanian. 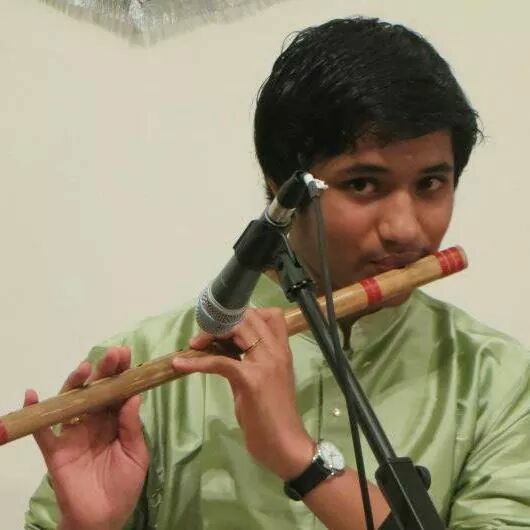 In 2011, Akshay started taking advanced training from the renowned flautist Sri S. Shashank. Akshay has won prizes in competitions such as Cleveland Aradhana and Chicago Tyagaraja Utsavam. He has performed in many local venues such as All Composer’s Day in Chicago, Chicago Tyagaraja Utsavam, Navarathri concerts, Cleveland’s Sustaining Sampradayam, and iCarnatic’s Margazhi in Detroit.